It takes a lot of guts to be a professional bull rider. Over a season with 30+ stops a bull rider takes a tremendous amount of physical damage (including broken bones, dislocated shoulders and a ton of bashes and bruises). Somehow these bull riders pick themselves up and hop back on those bulls for another ride. 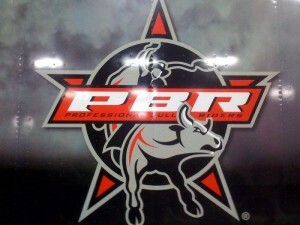 On Portland had the opportunity to speak with Ross Coleman, a 12 year vet of the sport, from Molalla Oregon who is set to ride this weekend as Professional Bull Riding comes to Portland in the Professional Bull Riders Godaddy.com Invitational (Friday Oct. 2nd & Saturday Oct 3rd). Ross gives some insight into what it’s like being a bull rider and what it takes to tame some of those monstrous beasts. If you needed other enticement, Go Daddy Girl, Erin Kalin will be singing the National Anthem at the event. Tickets start as low as $10.